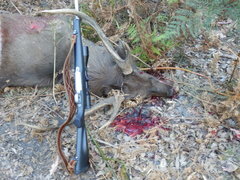 Nice even young stag, taken with my .325WSM and 175gr ACP projectile. Hi all, Just found this site, my passion is hunting deer of any sort, both with rifle and camera. Looks to be a very interesting site.